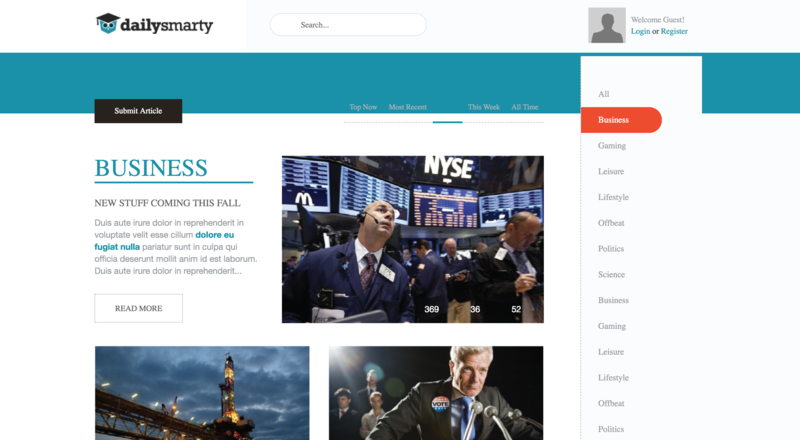 This was a fun Bootstrap mockup creating a fictitious Social Media site named Daily Smarty. We pulled in data, moved the NAV around, etc.. It was a fun building using Bootstrap, CSS, HTML and other technologies.